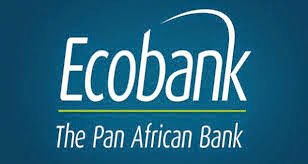 Ecobank Nigeria has commissioned three additional banking lounges for its Advantage customers in Uyo, Port Harcourt and Abuja. The Advantage segment offers its customers dedicated banking servicesm, targets the upwardly mobile and generally, professionals in various fields. The services include a bouquet of lifestyle enriching products, to address their day-to-day banking needs with dedicated relationship managers, whose main function is to give specialized services and on board the customers to all our service points. Speaking at the opening of the Lounge in Abuja, Group Head, Personal Banking, Mrs. Olukorede Demola -Adeniyi, said that the decision to establish lounges in various parts of the country was conceived to promote excellent banking services to its customers, noting that customers in the Advantage Banking segment would have opportunity for personalized services in the various lounges. These customers have access to a dedicated relationship manager to attend to their day-to-day banking needs; 24/7 access to reliable and accessible self-service channels and remittance products; asset protection and trust products. In addition, the Gold debit and credit mastercard is available to these customers in local and foreign currencies. These cards also enable customer’s access loyalty benefits/discounts from our partners which include hotels, boutiques, and fragrance shops amongst others. The customers also benefits from concierge and financial planning services. Commissioning the Abuja Lounge, Managing Director, Tom Hawksworth Ltd, Adekola Isaiah Ogundayo commended Ecobank for promoting the interest of its customers. He was optimistic that the lounges would attract more customers to the bank.